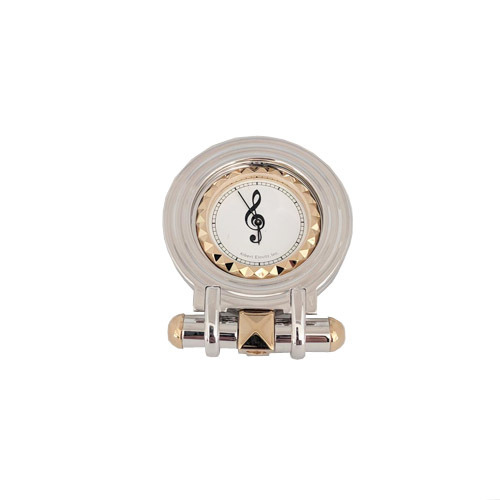 This elegant (silent) G Clef clock by Albert Elovitz Inc. has been manufactured by specialists where high quality materials and parts are used. You will certainly derive much pleasure from this fine quality timepiece. 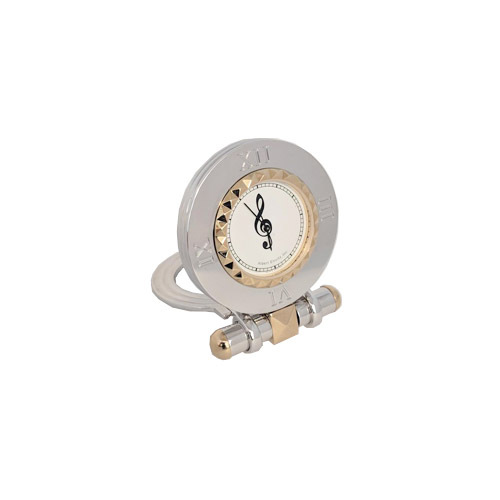 A wonderful gift for the music lover in your life. Approx. 2 1/4" W x 2 3/4" H.